Is Chiropractic Care Safer than Opioids for Pain Management? Home / Blog / Chronic Pain / Is Chiropractic Care Safer than Opioids for Pain Management? When you think of healthcare, and particularly when you think of pain management, as an American one of the first things that inevitably comes to mind is the image of a bunch of pills. American conceptions of treatment are dominated by pharmacology—medicines like antidepressants, sedatives, and painkillers generate billions every year for pharmaceutical companies, are the primary method of treatment for hundreds upon hundreds of distinct illnesses, and are at the forefront of every U.S. citizen’s imagination when they picture medical care. 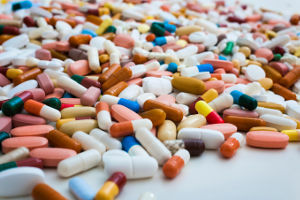 And among the pain management options offered to patients with chronic pain conditions, none is pushed so hard and prescribed so widely as the family of drugs called opioids, with sales of prescription opioids nearly quadrupling from 1999 to 2014 despite there being no real change in how much pain Americans report. On the other hand, chiropractic care has traditionally been regarded with suspicion and skepticism. Is it safe? Is it proven? Is that what my doctor knows is best for me? Yet despite this all, it’s becoming increasingly common for not only regular Americans but even institutions within the industry to question whether chiropractic might in fact be a far safer alternative to opioids for the treatment of chronic and acute pain. And with America caught in an increasingly alarming epidemic of prescription opioid abuse, we have a duty to openly and honestly examine the existing research around each treatment method and discuss whether a change is necessary. Doing so could be a matter of life and death for thousands. Currently, opioids are the primary method of pain management in the U.S. But what are they? Opioids are defined by how they function, in that they are a family of drugs with morphine-like effects. They include several subgroups. Opiates are the naturally-occurring compounds found within the Asian opium poppy plant’s seed pods. In addition to morphine, they include codeine and thebaine. Semi-synthetic opioids are derived from these opiates and include not only illicit street drugs like heroin but also pharmaceuticals like hydrocodone, oxycodone, hydromorphone, and oxycodone. Synthetic opioids created without opiates include methadone, fentanyl, and buprenorphine. Most Americans are more familiar with the listed pharmaceuticals by the brand names they’re sold under—hydrocodone is Vicodin and oxycodone is OxyContin, with each also being sold under other names as well. All of these drugs relieve pain and dull emotion by affecting opioid receptors in the brain, blocking pain signals from the nervous system. But they also all are extremely addictive, all listed under various “Substance-Control Schedules” in the Uniform Controlled Substances Act. Combine this with the fact that they’re prescribed for everything from surgery-related pain to coughs and diarrhea, and it’s easy to see how an addiction epidemic can form. As sales of prescription opioids has doubled, so has the number of overdoses linked to them, with more than 165,000 lives lost to prescription opioid overdoses from 1999 to 2014. In 2014 alone there were 72 deaths from opioid abuse a day, about three every hour. More than half of these were from prescription opioids, and overdoses on popular painkillers like Vicodin now claim more lives than heroin and cocaine combined. Not only that, but prescription opioid abuse is a stepping stone to heroin abuse, with almost half of young heroin users reporting that they started abusing opioids first and switched to heroin because it’s cheaper and easier to obtain while offering a similar high. The problem is driven in part by healthcare providers’ overenthusiasm for prescribing these drugs. A National Safety Council (NSC) survey this year found that 99 percent of medical doctors prescribe opioids, often for longer than the Center for Disease Control’s (CDC) recommended three-day period; 23 percent reported they prescribe a month’s worth of opioids or more at a time. In addition to all this, over 70 percent of doctors wrongly believe opioids are the most effective treatment for pain and prescribe them for back pain, despite the NSC not considering them an ideal treatment. With how addictive and dangerous they can be, you would hope at the very least that prescription opioids are doing their job. But as the previous statement about the NSC indicates, this isn’t the case, and the research doesn’t quite add up either. Meta-analysis of many studies about opioid effectiveness turn up murky results, with the increases in risks for abuse and other side effects far outweighing any apparent benefits. Other systematic reviews of the evidence conclude that the evidence in favor of opioids’ ability to provide long-term pain management and improvement in function is “weak,” “unclear,” “limited,” or missing. The problem with long-term opioid treatment is that, as with many drugs, the body soon builds up a tolerance. While the first prescription might provide a patient relief, they almost immediately find that this relief is extremely short-lived and that the same dose won’t keep providing the same amount of it. As the old dosage doesn’t do it anymore, they push the doctors for more and more, and the doctors, pushed into a corner by patient demands and complaints about the pain, oblige, increasing dosage. But dosage can only be increased so much before entering dangerous levels. At that point, either the patient will be receiving debilitating amounts of the drug, impairing their daily function, or the doctor will cut them off, offering no further increases. If the patient hasn’t yet turned to obtaining more opioids illicitly, they’ll certainly consider it then. As the country has woken up to this epidemic, alternatives are beginning to receive the attention they deserve, and chiropractic care is at the forefront of those alternatives. In March the CDC released groundbreaking new guidelines for healthcare providers on the prescription of opioids, offering very clear and specific guidance on what drugs to prescribe, when, and in what amounts. Above all, they urge doctors to avoid prescribing opioids unless absolutely necessary as a last resort, and to look for non-pharmacological (non-drug) treatment options instead. In response, the Foundation for Chiropractic Progress published a whitepaper applauding these new guidelines and advocating for chiropractic as the drug-free therapy option that the CDC recommends. 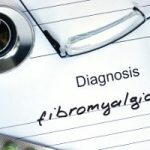 The American Chiropractic Association has also lauded the new guidelines, and many chiropractors are now offering themselves up as resources to educate and provide nondrug treatment options for pain management. This could mean a big shift towards chiropractic and medical professionals working more closely together in treating patients with pain, and thus greater availability of chiropractic care. Chiropractic care, which has high reported patient satisfaction and carries none of the risks of opioids, could be the solution to the opioid epidemic, curbing prescriptions that lead to overuse, abuse, and addiction. But industry shifts can take a while, and in the meantime you still may have pain. It’s up to you to take charge of your own health. If you have chronic or acute pain in your back or anywhere else and you’d like to discuss non-drug pain management, contact the professionals at Back in Shape Chiropractic in Gurnee by simply calling (847) 249-2225. We’ve been treating conditions just like yours for nearly thirty years, and we have just the expertise you need to get back in shape—with no risk of addiction or overdose included.